About 2 years ago one of the elderly men in the village came to David and I and asked if we would help with a water project. We immediately knew what he really meant. They needed money. Dinero. Moula. We went and looked at the past water system they had. It was long. I was all broken up. The villagers explained to us how an organization helped them build it in the 80's and then the hurricane in 2008 destroyed it. "Where do you all get water now?" And then we headed off to follow the women and kids carrying their empty buckets and jugs. When we got there I was hot, sweaty and heartbroken. We had walked for 40 minutes just to get to the water source. When we started talking to the people we had followed, they explained to us that there were people that lived even further away up the mountain who came down to the same water source. And they filled up their 5 gallon buckets, put them on their heads and started the trek back home. I sat down, exhausted, and waited for David to go back and get the truck to bring it closer so I didn't have to walk all the way back. Lazy white lady...I know...but it was HOT! Long story short...Invest Hope did not have the funds to help with this project. So we encouraged the people to pray and I cringed everytime I passed someone walking past me with an empty OR full bucket. 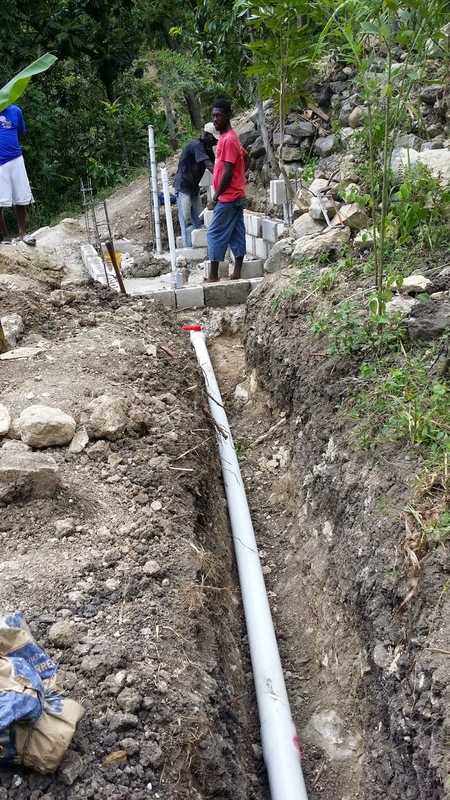 Earlier this year, Hungry for Life, had a donor who wanted to do a water project outside Jacmel, Haiti and David remembered this project and asked me to write up a proposal to them. I did and guess what???? 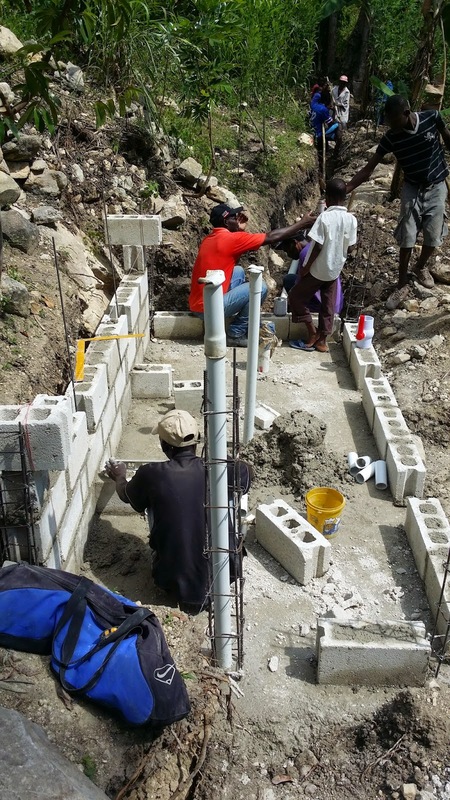 Invest Hope is partnering with Hungry for Life and the villagers in Peredo, Haiti to redo a spring water capture system to bring clean spring water to thousands of people! And yes, it is literally a partnership with the community of Peredo also. They are providing the labor of digging cisterns and ditches free of charge. Invest Hope believes in helping people help themselves. And since they will be the beneficiaries of this project, they are putting in the sweat equity. And to my delight, they are doing a wonderful job! The project materials are trucked up the mountain and then volunteers (including the children!) carry it in by hand. This include cement blocks, sacks of cement, sand to mix into the cement, rebar and piping. But the Lord had a bigger plan when he sent an 80 something year old Haitian man to talk with a 30 something year old American woman. He sent a non-profit Canadian organization to provide the funds. And I'm so glad it's in His hands!